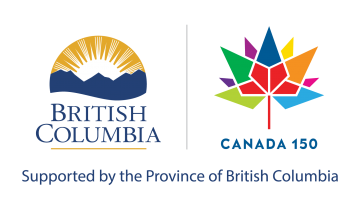 The Beaty Biodiversity Museum was a welcome recipient of a British Columbia | Canada 150 grant, which was announced in January 2017. Our project, Visitor Experience Improvement Project: Creating Learning and Social Spaces, focused on developing the infrastructure of the museum to upgrade the gallery space. Our project was designed around improving the visitor experience by constructing interactive elements, improving social spaces, and creating mobile workstations for researchers working in the collection. “All museum visitors are impacted by the improvements made to our social spaces, creating a better experience overall,” said Dr. Eric Taylor, Beaty Biodiversity Museum Director and UBC Professor of Zoology. The improvements include an interactive interpretive whale station which is the first stop for all museum visitors, mobile research stations to provide better access to our collection, improvements to the Museum’s entrance and admissions area, and more. The work for this project was completed in early 2018 and we are excited to officially unveil all elements to the public. Attend the official unveiling on Thursday, May 17 to learn more about the full scope of improvements completed because of the funding received from the British Columbia | Canada 150 program. Hands-on activities where you can learn more about specimens in the museum and our current exhibitions. Download a PDF of the press release for this project.